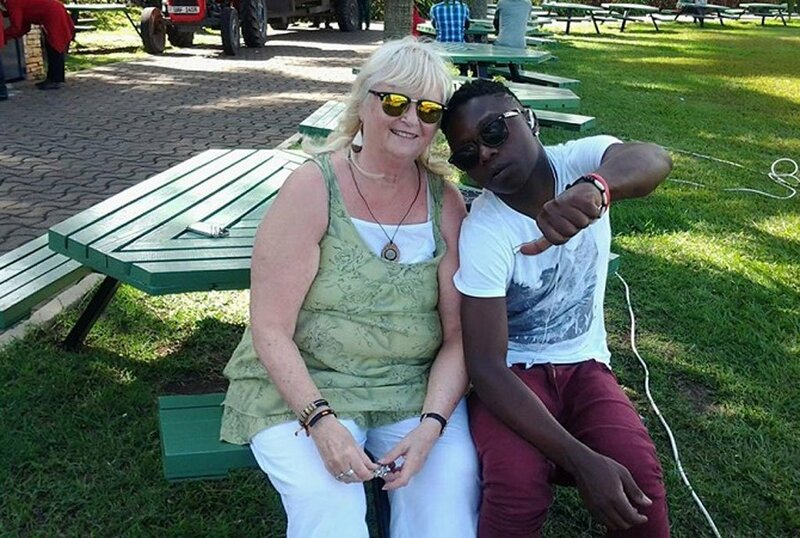 Notorious Swedish cougar Mona-lisa Larsson is now living from hand to mouth after squandering her money with a 19-year-old Ugandan singer Aziz Maganda. 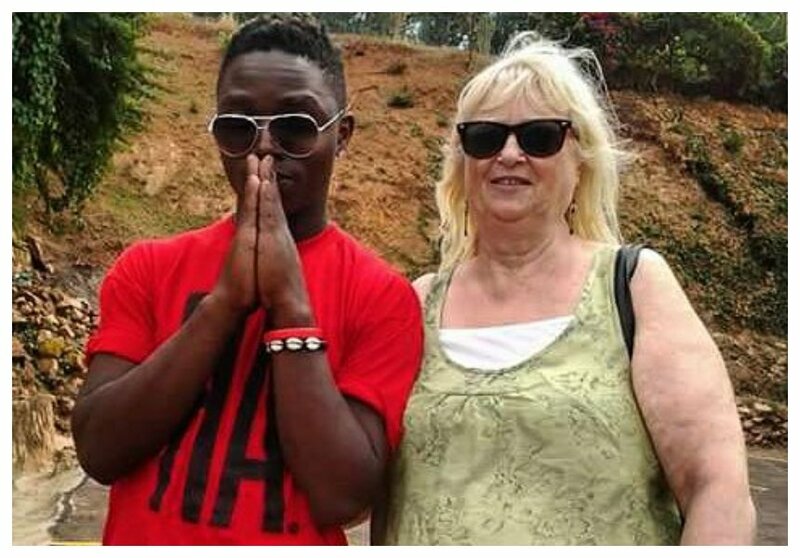 Mona-lisa Larsson hooked up with Aziz Maganda after another young Ugandan singer Ronald Ssemawere popularly known as Guvnor Ace dumped her. Mona-lisa Larsson, a retired Swedish teacher, wasted her money pampering her 19-year-old toyboy. The cougar was recently arrested and held at Jinja Road police station after failing to pay hotel bills. 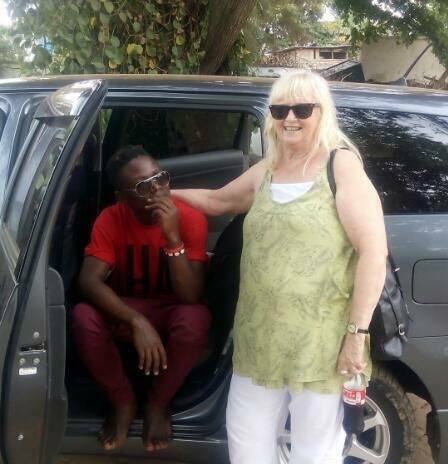 The arrest came after a staff member of Palm Gardens Hotel accused the granny and her toyboy of failing to pay accommodation fees amounting to Kes 53,685 or Ush 2 million. They had spent four nights at the hotel. Aziz however defended her sweetheart saying that she only had problems with her credit card which was later sorted after the arrest. “The lady’s visa card has some issues. I want to pay everyone’s money. Am not lying and she is not lying. All those demanding us money we shall pay you. Please understand because am a fellow Ugandan like you. I love this woman but I also love money a lot so I can’t betray you like that,” Aziz apologized to his fans after the incident. Aziz finally confessed that they are broke after he was admitted at Mulago hospital, the upcoming singer collapsed and fell because of hunger. “I woke up last night and I was not feeling well. I tried to get up but I stumbled and fell. My lips cracked and yet I also have a little fever. We don’t have even Sh100…that’s the truth. We can’t even find where to stay. My lip has been stitched but I was just helped by a Good Samaritan who drove us here,” Aziz confessed in an interview with Bukedde TV. He humbly begged Ugandans to help him saying that he is even afraid to go back home because his family still think he has money. The couple was helped by traditional herbalist Mama Fiina who saw them on TV. She bought them juice before taking them to an undisclosed location. Mona-lisa Larsson was only drinking water as she could not afford any food at the hospital.